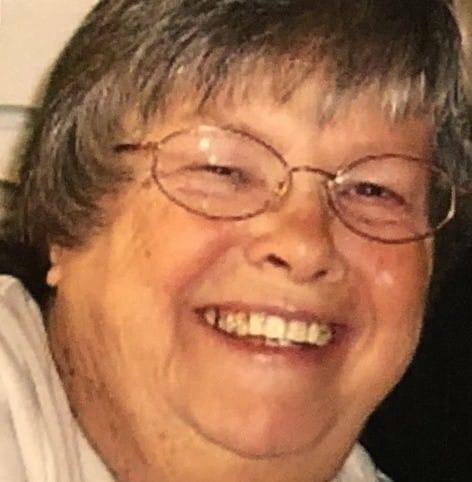 Elsie L. Prater, age 81, of Jeffersonville, passed peacefully on Monday, October 15, 2018 at Four Seasons in Washington Court House. Born in Rand, West Virginia on February 16, 1937, she was the daughter of the late Robert and Thelma Williams. She is preceded in death by her husband, Lucine Prater, who passed June 15, 2010. Elsie attended Washington Senior High and worked at Detty's Market, in Jeffersonville, for many years. She was a former member of Center United Methodist Church. Elsie was an avid gardener and a member of Garden Club. She loved making candy with her dear friend, Wanda Stevens. Elsie was happiest in a social setting and loved being around people. She leaves behind three children: Patty (David Porter) Young of Jeffersonville, Nancy (Danny) Hines of Washington Court House, and Jeff Prater of Jeffersonville. Also left to cherish her memory are grandchildren: Amber Young, Nikki (Brian) Riley, Kasey Stolzenburg, Brittany Fannin, Mercedes (Jonny) Hayslip, and Robbie Davis; 16 great grandchildren; 10 great great grandchildren; special friend, Wanda Stevens; and beloved dog, Buster. In addition to her husband, Elsie was preceded in death by a daughter, Cindy Prater Davis; granddaughter, Tiffany Lynn Young; and brothers, Robert and Dewey Williams. Family will receive friends at Littleton Funeral Home, Sabina, on Friday, October 19, 2018, from 12Noon – 2pm, when a funeral service will begin. Burial to follow at Milledgeville-Plymouth Cemetery. In lieu of flowers, memorial contributions are suggested to the funeral home to help with final expenses.